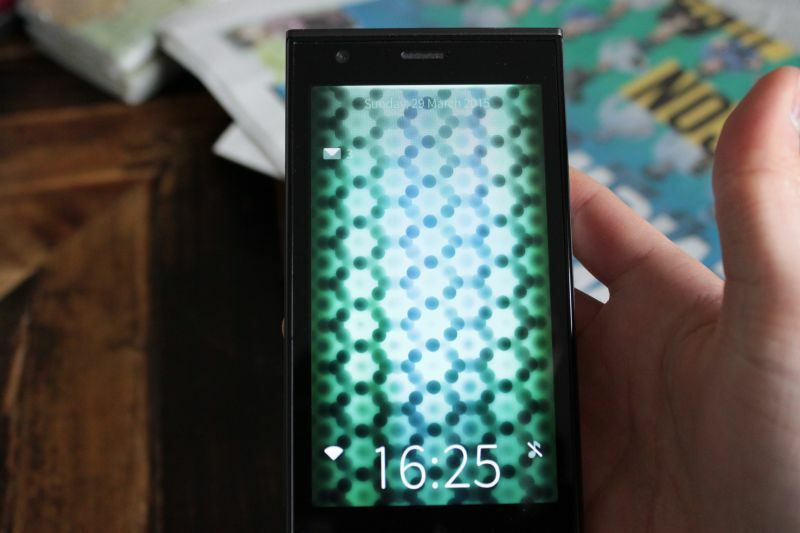 One year later, how is the Open Source Jolla phone? 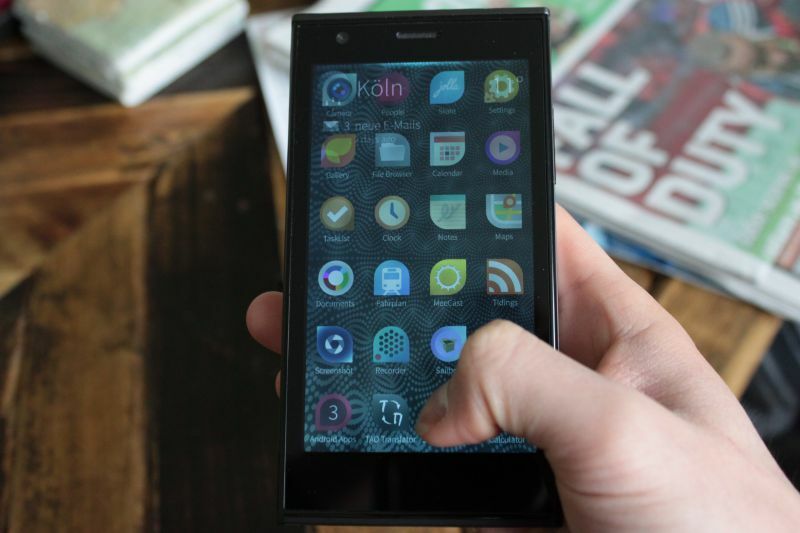 The Jolla phone by the Jolla company has improved a lot since its release in November 2013 and has now a little sister, the Jolla tablet. I got the opportunity to try the phone and I would like to share my impressions one year after the first reviews when it was released and to see that things are changing a lot with Jolla's incredible energy. Thanks to a friend who lent to me his phone, I could have a little bit of fun with it. For those who don't know the phone, I will begin with a general description of the phone, then afterwards, I will focus on some points that are important to me. Finally, I will write a conclusion of my impressions. First, a little bit of history. Jolla is a company formed by ex-Nokia employees who worked on the MeeGo operating system. MeeGo has been developed on top of a Linux kernel and is open source. However, the only released smartphone using this operating system is the Nokia N9, just before Nokia signs the contract with Microsoft for Windows Phone. For those who could buy the Nokia N9, they loved the phone and still now a lot of people talk about it as a great phone. So coming back to Jolla, they are working on SailfishOS whose core is based on the open source MeeGo, but the user interface is closed source. 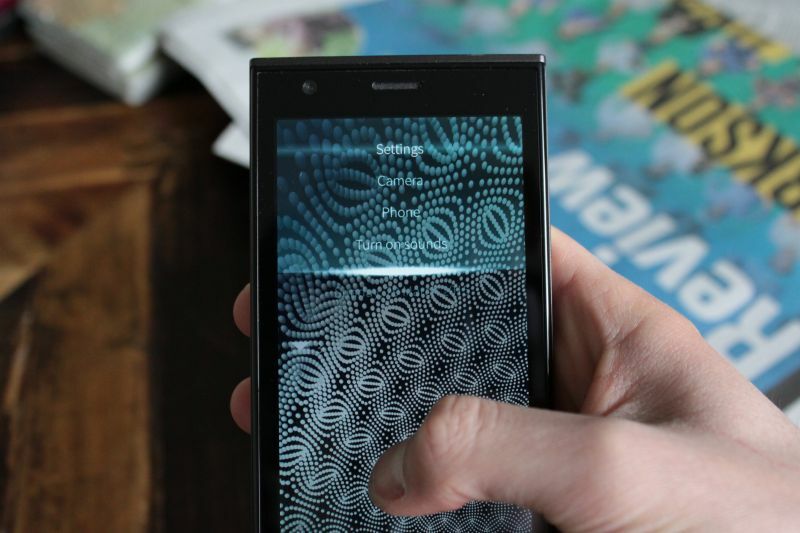 Their first phone, the Jolla has been made available the 27 November 2013 after a crowdfunding campaign for those who pre-ordered and is now available to anybody since beginning 2014. When I got the phone in my hands, I was quite happy to have a good grip. My current smartphone, the Lumia 925, is too big for my hand, but the Jolla has another screen format (more in height, but less in width) that lets me use it comfortably. 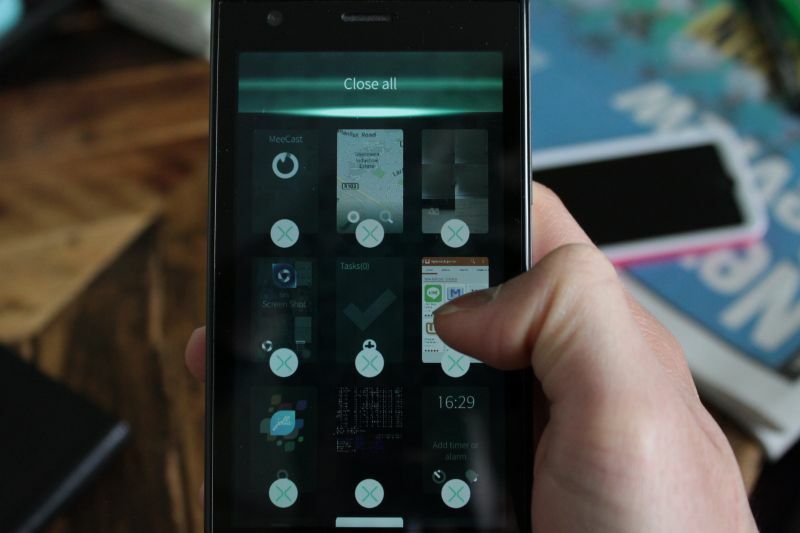 One of SailfishOS specificity is that most controls are made by gestures and not by buttons as it is done usually. I was first curious if it was usable and in fact, I got used to the controls about thirty minutes after. Little explanation: to see your notifications you have to swipe your finger from the bottom edge of the screen to the top, to close an app and put it in the background, you just have to swipe from the right or the left edge to the other side (so it means, that you can be right-handed or left-handed), and for most apps, if you scroll from the top, you will get a menu with several options according to the app you're using. Another thing that SailfishOS does well is multi-tasking. They are three "desktop" screens on the phone from top to bottom: the lock screen, the multi- tasking screen and the apps screen. So, the interface is focused on the multi- tasking screen where you can obviously close the running apps and switch between them but also get live information of each running app and do fast actions (for example Play/Stop on the music app). One of my biggest concerns was about the kind of apps you can install on the phone. SailfishOS's native apps are made with Qt so for developers used to this framework, it is quite easy to do apps for this phone. 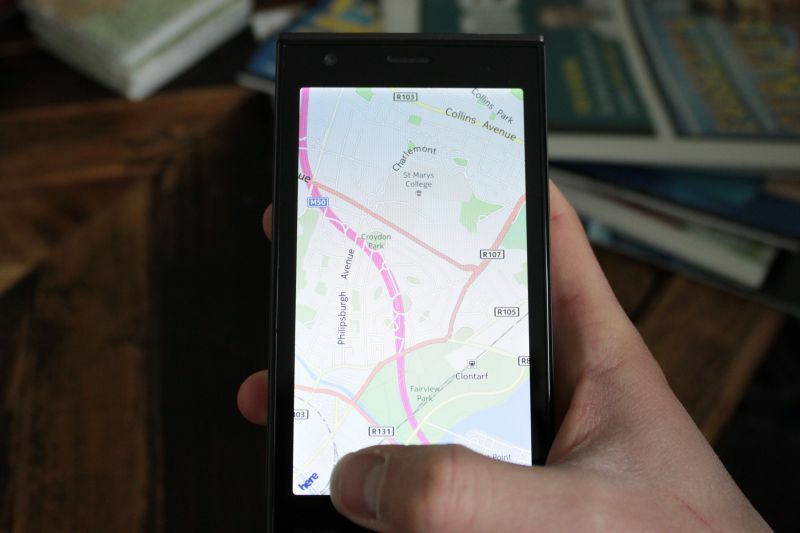 Jolla has made a great move by making the usage of Android apps possible. 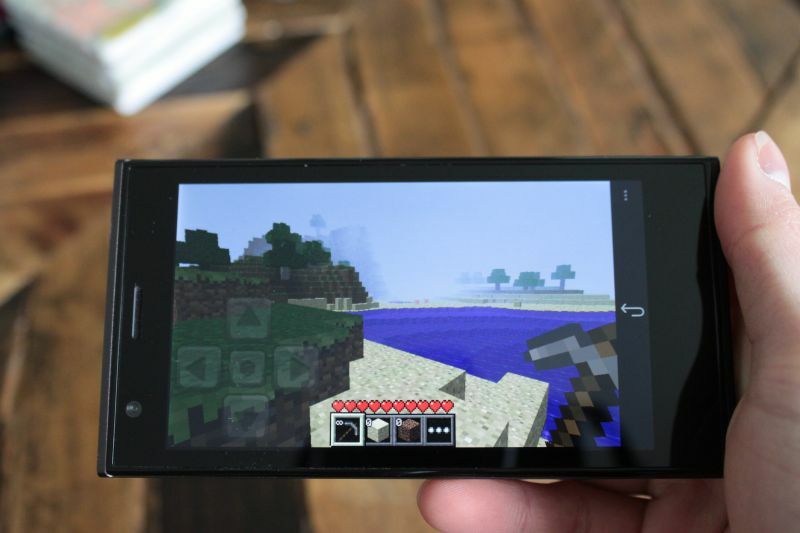 I tried it and it works great, even with a game like Minecraft. Fun fact: as I was opening a new app while I had some other apps in the background, including Minecraft, the phone froze for about 5 seconds and then continued to work after having killed all apps in the background. It was the first time for my friend seeing it as he never used big apps like this game. As a web developer, I'm very interested in being able to create easily webapps and to use them on the phone. However, I couldn't see anything letting me do that. I hope they will implement it soon. As it is based on an open source Linux operating system, the phone is very "hackable". On the hardware side, you can open the phone and access the battery, but Jolla has also added a very interesting and original feature: the back of the phone called "The Other Half" can be changed and connects to the phone. It means you can get extensions like a keyboard and clips it to the phone. As the characteristics are open, anybody can create its own "Other Half". On the software side, you can use the integrated terminal and it behaves like an usual bash shell. 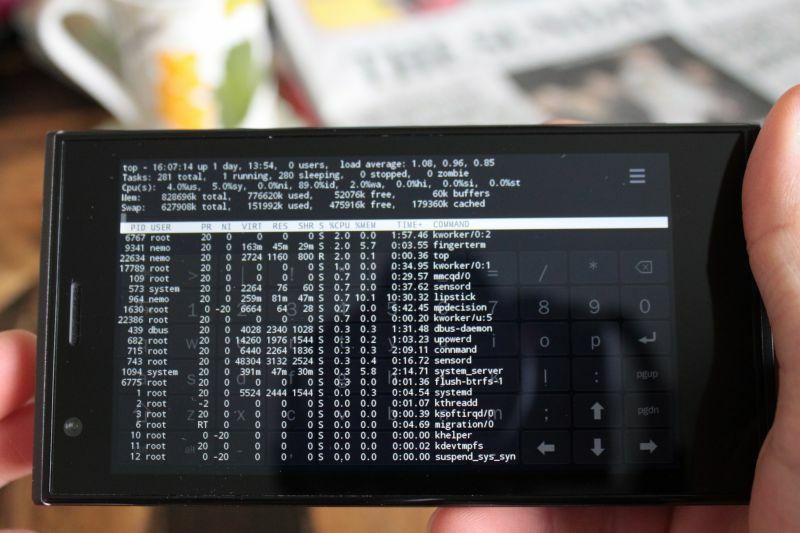 It is also possible to set an SSH connection between the phone and your computer and take the control over the phone with this one. As a developer, for me it is awesome! The application I use the most on my Lumia smartphone is Here maps with the GPS and it seems it is also the default app on SailfishOS. The comments I wrote here should be obsolete soon as the application is being redone in partnership between Jolla and the Here team. Currently the application has been implemented in a fast way without a real work on the user interface. Once you get it how it works, it is fine, but the first time is very complicated. So I would say I could use it on a daily basis, however, I miss the possibility to get the route with the public transport. How can you know that you have to touch the "Here" button on the bottom-left corner to access the menu? In overall, I really like the phone and I could use it as my main phone. They are only some defects like the app's settings who are accessible in the app called "Settings" but not in the concerned app itself or that I could not see what permissions the app is requesting. But, unlike the IMAP push notifications is coming with the next update, a lot of issues I encountered will be resolved with the next 1.1.4 version or the 2.0 (the phone I have in my hand is currently in 1.1.2). You can sometimes feel that the phone gets a little bit slower (in my case, it was while I scrolled on the app lists in the Jolla Store) but, It is not at all a problem as it is only the interface which can be less smooth than usual. So I think that if Jolla would just optimize the performance, it would be enough and would not require to add some memory to the current 1GB of the phone. I'm very impressed about Jolla's work. This little company has managed to come out with a great operating system, an awesome phone and recently, a beautiful tablet. They do a quality work and focus on the only two devices they have, and furthermore, they listen to the community a lot. Websites like Jollausersare great to get news and see how the community reacts. A friend contacted Jolla to ask them if he could use some of their video, and they replied within 4 hours. If you are interested, Jolla's crowdfunding for the tablet will finish in two days. It is a good opportunity to buy it for $219 instead of the $249 retail price. To get on the Indiegogo crowdfunding page, click here. 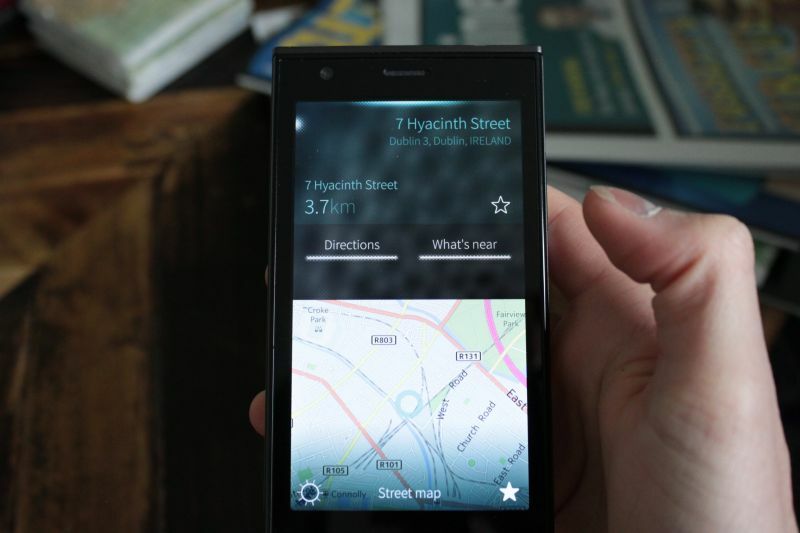 So, my next smartphone will perhaps be the Jolla 2. Why not the one I just tried? Because my current phone is still working well and is quite recent, so I have to wait some more time before changing. And the Jolla 2 will perhaps soon come out. You found an error in this article? Some advice? You can send a comment by email to "blog at killiankemps.fr" with "[Comment][en][One year later, how is the Open Source Jolla phone?]" as subject.